Technology continues to bring new approaches to marketing in the Alcohol/ Drinks category and one such example is the use of Augmented Reality (AR) by Treasury Wine Estates. 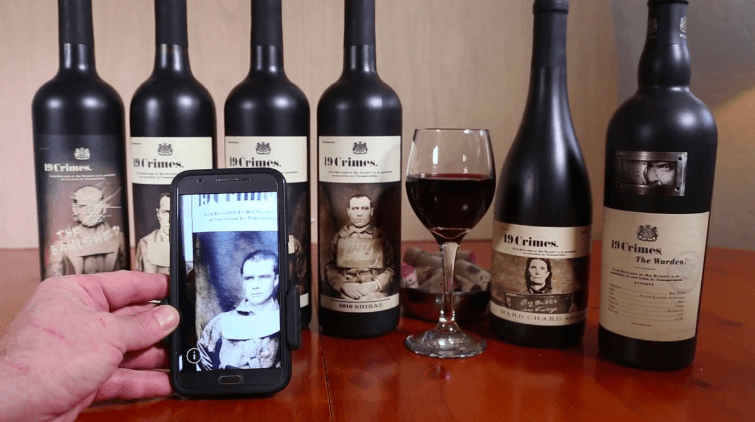 Back in 2017, the company launched an AR app to be used with their 19 Crimes wine brand, the first to use AR technology on wine labels. This featured British rogue characters on the label coming to life to tell their stories. The concept was simple to access with consumers simply downloading the app from the Apple or Google store and hovering their smartphone over the wine label to bring it to life. More recently, given the sheer success of the 19 Crimes marketing campaign (helping it to grow in the USA to a 1.5m cases brand), the company has continued to invest in AR through the development of their ‘Living Wine Labels’ AR platform across its portfolio of wines, to help drive consumer engagement and growth of its brands around the globe. The Living Wine Labels platform, will include wine brands in their portfolio such as 19 Crimes, Lindeman’s Gentleman’s Collection, Beringer Brothers, the Walking Dead and Chateau St. Jean, with the app available in more than 90 countries. At the annual Consumer Electronics Show (CES) in January 2019, there was more innovation in the drinks category, this time from South Korean electronics company LG. They announced the release of the LG HomeBrew, an at-home beer maker that makes it easy to bring craft brews to life without needing access to a brewery. LG’s unique capsule-based system brings revolutionary simplicity to the art of brewing with one-touch activation. The machine works with a set of single-use capsules – which contain malt, yeast, hop oil and flavoring – and at the press of a button, users can relax as LG HomeBrew automates the whole procedure from fermentation, carbonation and aging to serving and cleaning. A free companion app (for Android and iOS devices) lets consumers check HomeBrew’s status at any time, anywhere. This is not necessarily a new idea, as Pico tried before with their PicoBrew, personal craft beer brewery, launched at CES 2016. Although this product probably has not quite captured the imagination of consumers, so LG Electronics will be hoping for a better result.